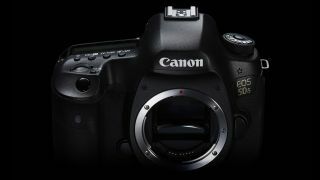 Why are there two versions of the same camera, and what is the 'cancellation filter' in the 5DS R? The Canon. EOS 5DS is a massive step forward in resolution, taking full-frame DLSRs to a whole new level, but it also brings some tricky decisions. Watch this video from our Head of Testing, Angela Nicholson, as she reveals the five key things you need to know about the Canon 5DS and its spin-off, the Canon 5DS R.
1. Resolution: The EOS 5DS and 5DS R have full-frame sensors with 50.6 million pixels, so why is that significant? 2. Anti-aliasing: The Canon 5DS and 5DR both have anti-aliasing filters, but the 5DS R adds a 'cancellation filter' to take away the anti-aliasing effect – why? 3. Controls: The Canon 5DS and 5DS R have identical controls – but they're also identical to the older Canon 5D Mark III, which brings interesting possibilities for photographers considering both. 4. Autofocus: Both cameras have got the same autofocus system as the 5D Mark III but the continuous shooting frame rate is lower and the 5DS and 5DS R have modified metering systems. 5. 5DS vs 5DS R: There's a £200/$200 difference in the price, but is there any difference in the pictures, and which one should you buy?